Walton’s Guest House, an oasis in the centre of Bath catering for Business and Tourism. Centrally located in Bath, this Guest House offers great facilities and a short walk to the Royal Crescent, Bath City Centre & the Royal Bath Spa Complex. Try the WALTON’S EXPERIENCE, an oasis in the centre of Bath catering for Business and Tourism and just a short walk to the Royal Crescent, City Centre and Heritage attractions. Bath offers a wide variety of attractions throughout the year and Walton’s is well situated for the Music Festival venues, the Theatre Royal including The Egg and the Unstinov Studio, the Roman Baths and Thermae Spa complex, the Museum of Costume, Bath Rugby at the Recreation Ground, the Christmas Markets in the Abbey Churchyard and all City Centre Shops. For those walking the Cotswold Way Walton’s offers a convenient overnight stay on the western edge of the city and a regular bus service stops just outside the front door, should you wish to take a day trip to Bristol during your stay in Bath. There is free on street parking between 6.00pm and 8.00am and a public car park immediately behind the hotel. Call or email for group bookings and for seasonal and midweek offers. Walton’s Guest House Autumn 2018 Special Offers. Complete your Christmas shopping with this extra special reduction for the first week in December - Sunday 2nd Dec to Thursday 6thDec. Friday and Saturday 7th & 8th December for a 2 night booking Prices are £150 for Double or Twin and £ 90 Single. "I frequently travel to Bath on business and always stay at the Walton due to its close proximity to central bath, well decorated clean rooms and friendly owner"
"Just had a wonderful long weekend away for the Christmas markets. Very Very happy with the choice of guest house, very friendly and homely. Beds very comfortable. Quick 10 minute walk (if that) into the main centre of Bath, and the Crescent is just behind. Have already booked to go back same time next year. Breakfast was scrummy. Thank you"
"A perefctly situated friendly guest house. 3 of us, had a room with 3 single beds, very comfortable, large shower and bedroom was large enough. A quiet room as it was at the back of the house. Owners were very welcoming and obliging, nothing too much trouble. Lovely breakfast and only a 5 - 10 minute walk to the centre. Will stay here again." 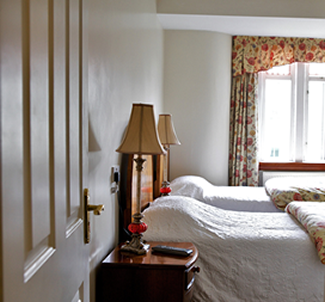 "I visited Bath with three friends, so we had two twin rooms. Both rooms were clean and had ensuites. One room only had a shower and toilet, the other had a bath as well. The owners couldn't have been more friendly and helpful. The location was excellent, as it was only about five minutes walk from the town centre, and the breakfast was nice and served quickly. Overall, I would recommend it." "A party of us stayed at the weekend to do some sightseeing and it really was ideal - spotlessly clean and only 5 minutes away from the town centre (but just far enough away to escape the noise of the bars and restaurants of the city centre on Saturday night). The bathrooms were small but perfectly functional and looked as though they had been recently refurbished. The owners were extremely helpful and friendly, breakfast was good and the rooms were comfortable with everything we needed. We could check in and leave our stuff from 11 am which was useful too. If I was visiting Bath again I would go for the Waltons every time - excellent value for money"